While most people are aware of the possible marketing applications for floorplans, it is less common for people to think of floor plans as a life saving tool. However, a bit of joined up thinking from emergency service providers and first responders has turned building blueprints into just that – making floor plans an important part of household and business safety provision in some places. Take, for example, a recent emergency response pilot launched in Lake County, Florida, USA – called Smart 911. As part of the programme residents of the area have been offered the opportunity to provide detailed floor plans of their properties to the local authorities, which could then be accessed by emergency responders such as firefighters, police or paramedics when responding to a 911 call. The scheme would not only allow for first responders to easily navigate emergency scenes in the event of a call out, allowing them to quickly locate any residents who may be at risk, but would also mean that fire, police and medical personal would be less likely to injure themselves during responses, since the provided floor plans would take the guesswork out of navigating emergency scenes. The sensible approach to using floor plans to help with emergency planning is one that is expected to be adopted in more areas over time, with talk even of providing immediate online access to building plans, blueprints and floorplans for first responders using on the go technology like that used in Google Glass. Firefighter and programmer Patrick Jackson or Rocky Mount North Carolina is currently working on a app for the wearable tech that will do just that, according to a recent report from Mashable. “Jackson envisions that the app may someday be able to provide maps and floor plans to firefighters battling smoke in unfamiliar buildings, or provide extraction diagrams for when firefighters need to safely remove civilians from a vehicle.” the piece explains. 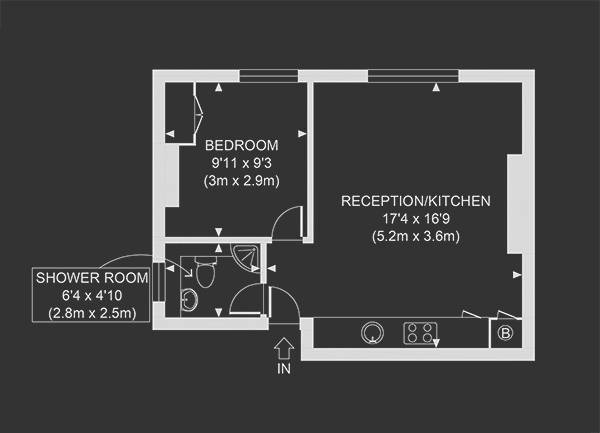 To have a professional looking floorplan drawn from your own sketches, order now with Sketchplan – prices start at just £12.99.